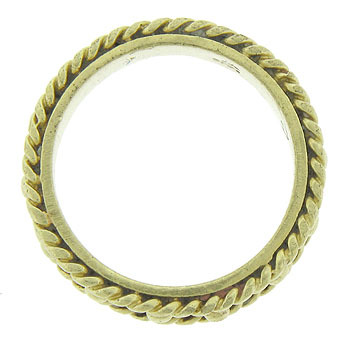 Wide, twisting ropes of yellow gold press into the edges of this wonderful vintage wedding band. 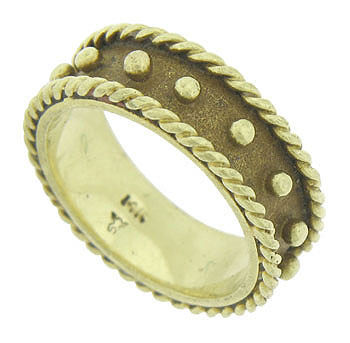 The center of the ring features a darkened pebble finish accented by bold milgrain decoration. 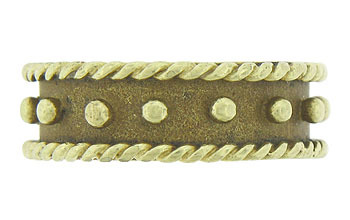 The ring measures 6.35 mm in width. Circa: 1960. Size 5 1/4. We cannot re-size.